This entry was posted on September 20, 2013. 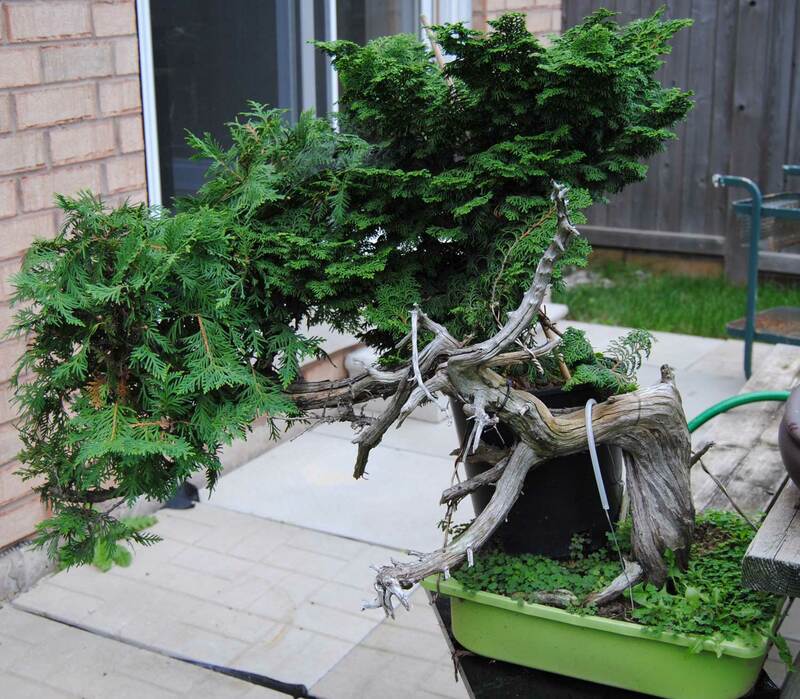 It was filed under Bonsai, Canada, Chamaecyparis obtusa, Grafting, Techniques, Thuja occidentalis, Toronto, Yamadori and was tagged with Arborvitae, Bonsai, Canada, Grafting, hinoki, Nick Lenz, One Point Graft, Single Point Graft, thread graft, Thuja occidentalis, Toronto. 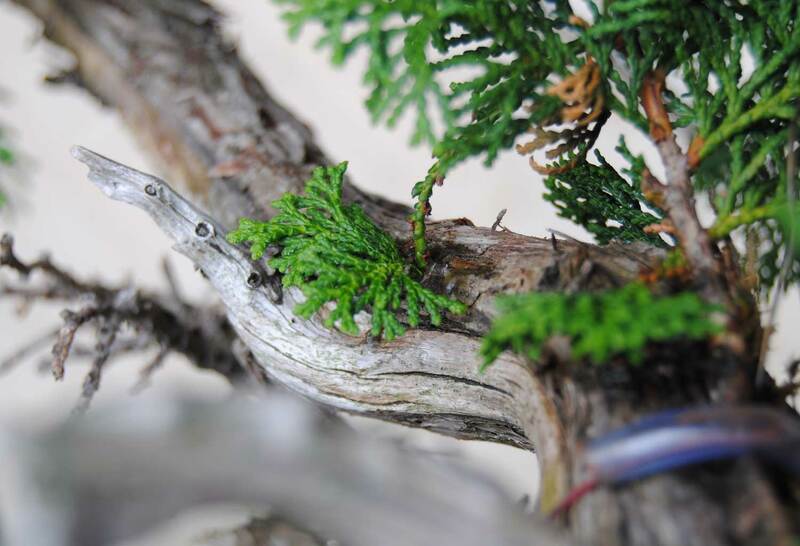 I like the idea of grafting hinoki on thuya… much better foliage with the hinoki! It’s the first time I see this type of grafting! I’m definitely going to try it! I’ve trying to do the same thing with a Jack pine and with no luck, I am still trying to add some branches to it. I have started to call it “Franken tree” (after Frankenstein) because I have done so many experiments on it. We will prevail and then we will be writing a book and reminiscing on how many times we tried to do grafts and how easy they are now. 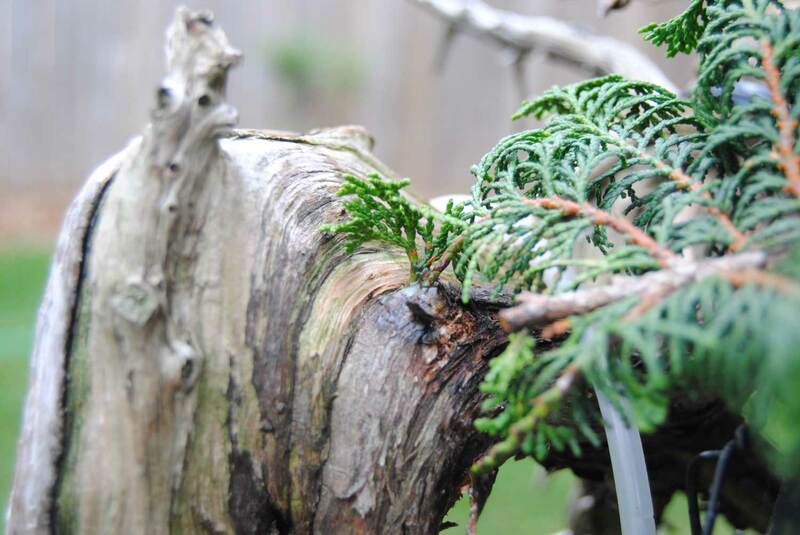 I have successfully grafted hinoki onto white cedars here in MN. Sadly the exquisite tree of course died but the subordinate one has lived on for may years and is improving. 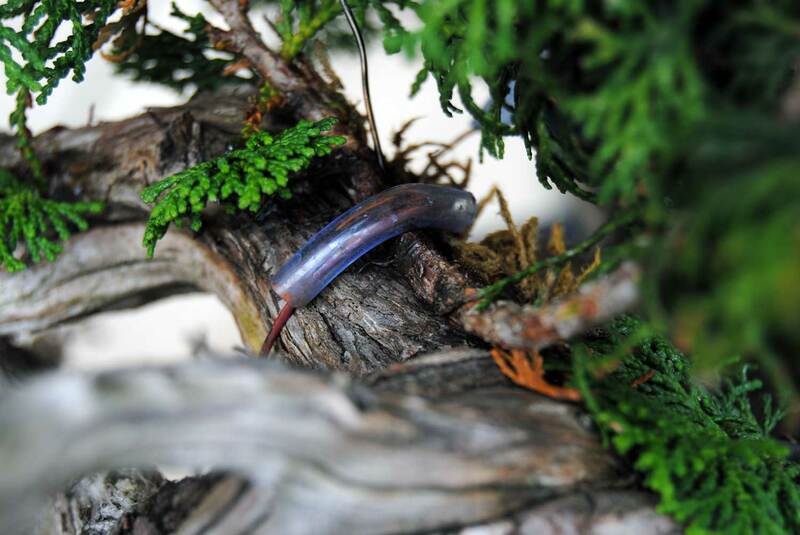 It is pretty small one with a obtusa graft which is slow and fine.It was a regular arch graft. Lenz since has advised me to use a more aggressive clone for grafting but I have not tried anything more for years. Anyways, it seems if they like being on white cedar unlike scots on pondo–which has been a long term failure for me. Good to hear of your success. I’m hoping this ‘Kosteri’ variety will do the trick. Only time will tell. Take care.